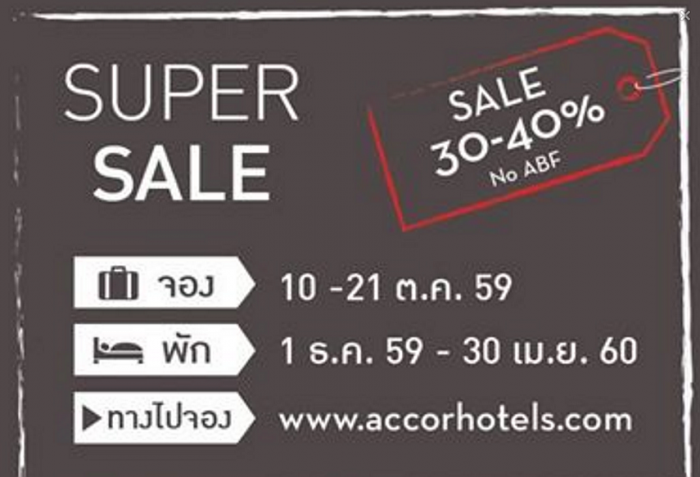 Le Club AccorHotels is about to launch their next 30% to 40% off worldwide Super Sale. Their last Super Sale ended in June. Members can book between October 10 – 21, 2016, for stays December 1 – April 30, 2017 (these stay dates are likely region/country dependent). You can access Le Club AccorHotels Private Sales here (note that the web page is not yet active). As is always the case with these Private Sales, Accor Plus members usually get an advance access + additional 10% off of stays in Asia followed by the elite members. Non-members have access to the sale closer to the end date. I will have another post up once I receive more information about this sale later this month. A LoyaltyLobby reader dropped me a note about this sale.